This grinding wheel is the standard size and wheel used on our Baldor Grinders. 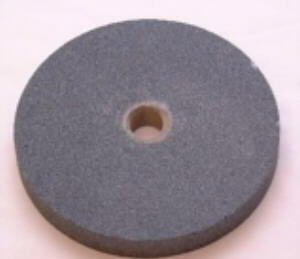 This is a general purpose grinding wheel (36 grit). Wire brush is used to remove scale and rust. deburrs large objects easily.